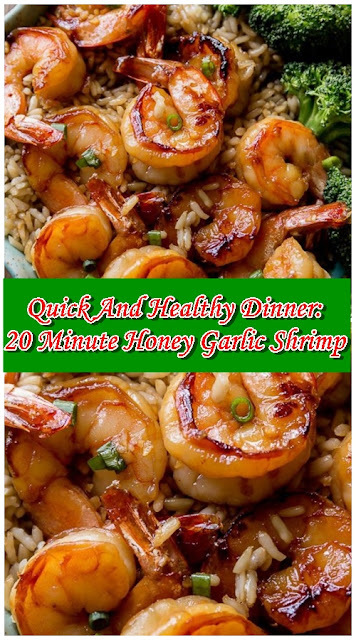 This honey garlic shrimp is one of the most popular recipes on this website because it’s not only lip-smacking delicious, it’s a very quick and easy dinner recipe. Ready in 20 minutes, this healthy dinner will join your regular dinner rotation. Serve with brown rice and vegetables, grill on skewers, or serve over salad. Heat olive oil in a skillet over medium-high heat. Place shrimp in the skillet. (Discard used marinade.) Cook shrimp on one side until pink– about 45 seconds– then flip shrimp over. Pour in remaining marinade and cook it all until shrimp is cooked through, about 1 minute more.